Guess who's 11 months old today?? I'll give you one guess, hehe. 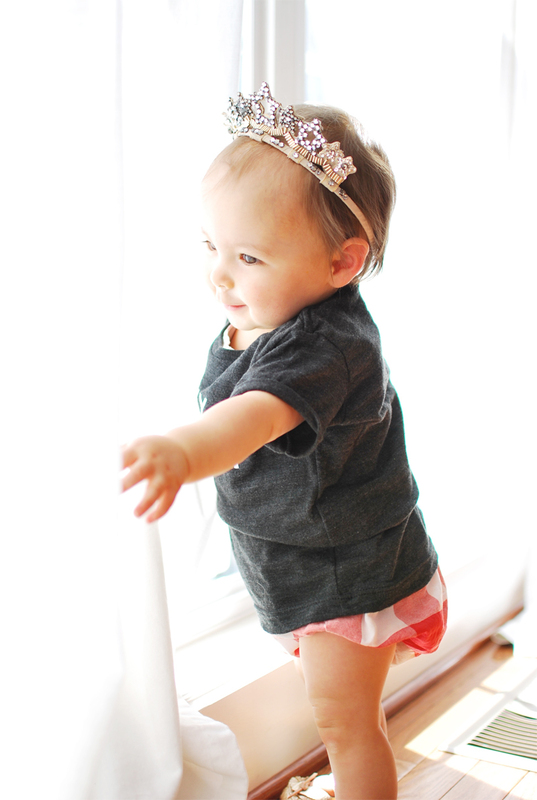 How is it that it's already been 11 months of having this little angel in our lives? I don't believe it, but here she is in all of her 11 months of chubb glory. 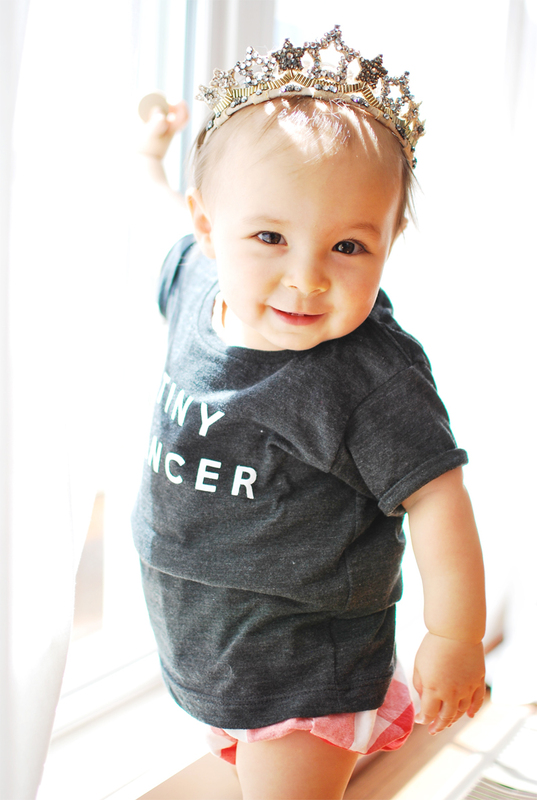 I am so excited to partner with Cheerily in today's post! Remember when Vivi rocked their 'The Snuggle is Real' tee? 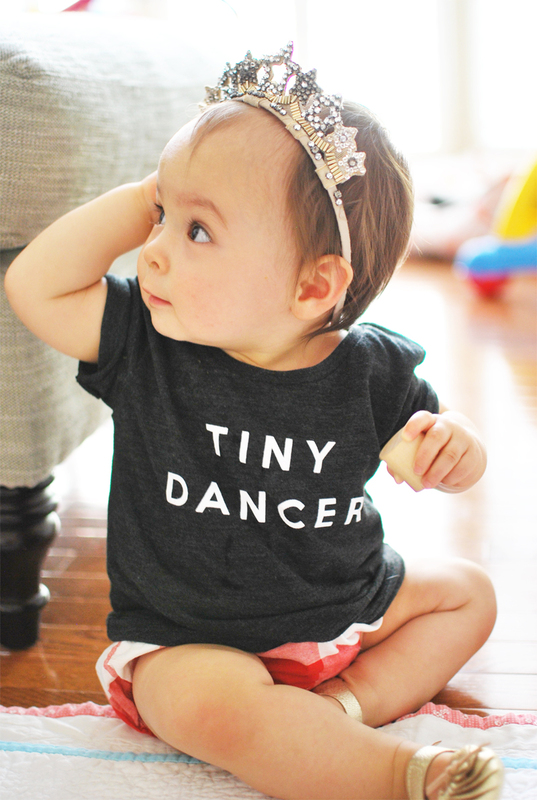 Well, how could I resist their 'Tiny Dancer' tee for my tiny dancer. I couldn't! 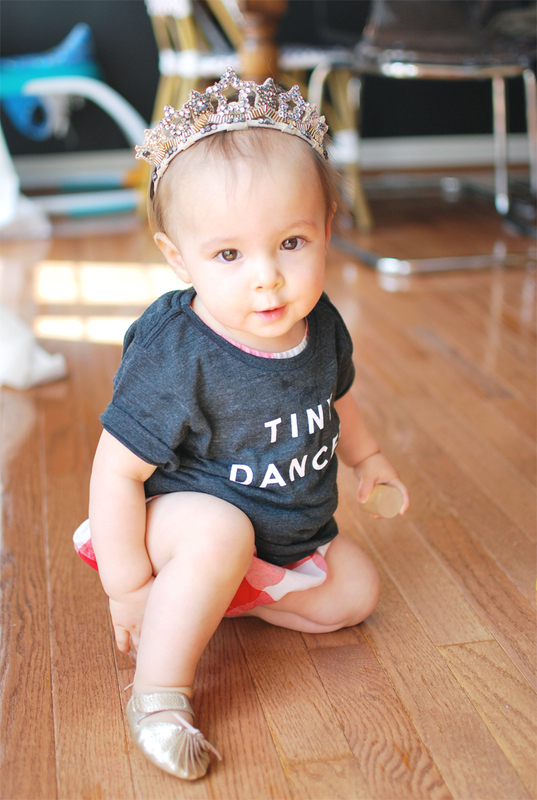 She is quite the dancer when she hears music playing, but I couldn't quite capture that in photos, so instead I dressed her up with a tiara (courtesy of Cora) and some sparkly gold shoes. If you haven't checked out Cheerily's site for your kiddos or the kiddos in your life, then please do! 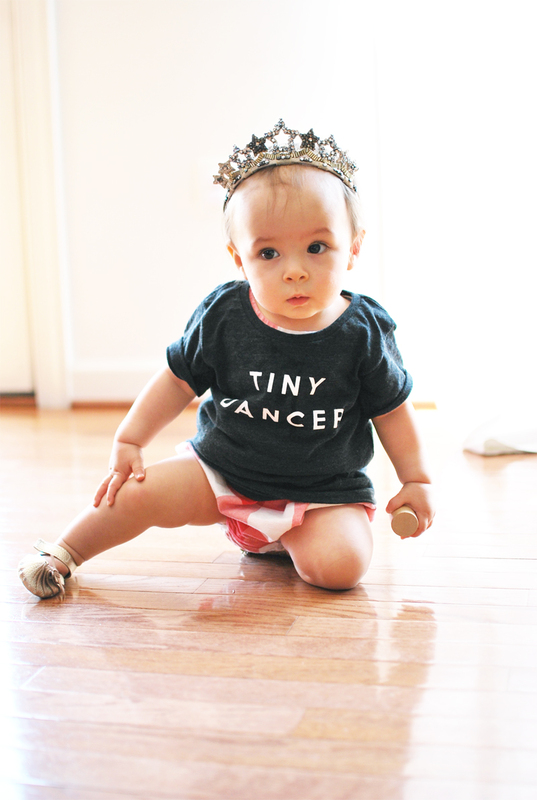 They have the cutest pieces for kids, you're bound to find something that tickles your fancy. And right now, Cheerily is offering 15% off your purchase with the code PROPERHUNT15! The code expires June 15th, midnight PST so make sure to use that discount code for your next purchase! This post was in partnership with Cheerily but all opinions are my own. Thank you so much for supporting the brands that keep this blog going! I encountered by cops, I can honestly say it a thought that runs through my mind, Nelson said. Never know what going to happen. Mayor Jim Kenney, who is white, said what happened at the Starbucks to exemplify what racial discrimination looks like in 2018. The Carlisle model spread through the United States and Canada tens of thousands of Indian children boarded. Today some scholars blame the legacy of broken family ties and lost languages for ills that plague modern tribes. American Indian leaders say a haphazard 1927 relocation of the school cemetery created painful doubt about who lies beneath ggg shirt the earth design a tshirt and how to design a shirt where.